Four dimwitted brothers (Éric Judor, Ramzy Bédia, Saïd Serrari) try to impress their criminal mother by robbing a ban. Belle: [on Luke] He needs a real woman. Calamity Jane: I AM a real woman. How to summarize my feelings after having seen this movie? 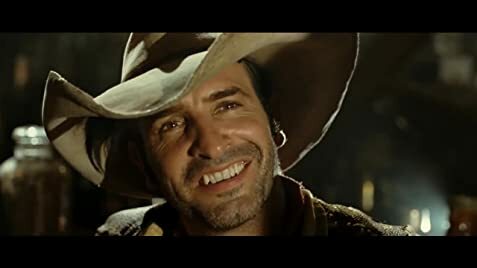 mixed at best... Jean Dujardin is still a great actor and his depiction of Lucky Luke is a true representative of his strengths. The cast is also good and funny. However, the scenario is dubious. The plot is weak, with pieces from various albums being thrown into the mix relatively randomly rather than forming a consistent movie. 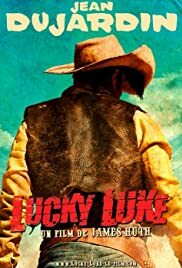 As a true fan of "Bande Dessinee", it is good to see live version of some of the characters forming the true spine of Lucky Luke but it still feels like some kind of elaborate parody of Lucky Luke rather than a true depiction. Diving into the youth of Luke, with such "tragic" origins feels misplaced too... only the relationship with Belle was a welcome and funny innovation. As a summary: should have been better. Luke, Dujardin, Morris and Goscinny deserve better!